Back at the end of September, we went over to Galiano with some friends for the weekend. I completely lost track of this one and getting it up on the website. Since it’s been so long, I’m just going to add some pics with commentary. Our friends Stuart, Jo and their daughter Sova came with us for the weekend. After getting off the ferry, we headed up to show them the new property. This trip, we rented a couple of cottages at a new place. It worked out well, and they were fairly inexpensive. 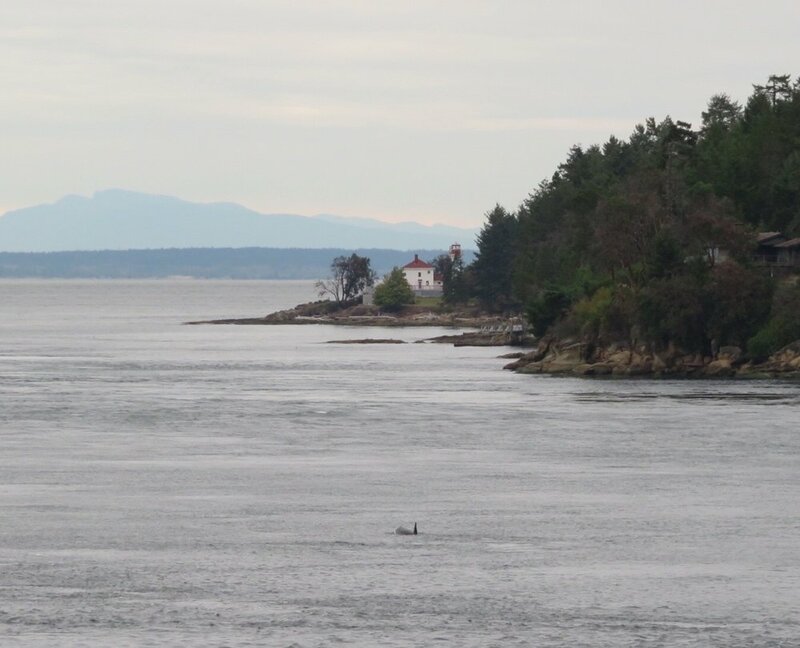 Saturday afternoon we headed down to the water, and were rewarded with a pod of orcas coming through Active Pass! Justine managed to get a great shot of one of them - I’m sure you’ve seen it on FaceBook! We managed to find a sea star for Sova to check out. We also went for a hike in the rain. It was very atmospheric in the forest. One of the many beautiful trails to explore on our new island home. At the end of one of the roads near our place, there is a sandstone cave structure that the waves have carved. It’s very cool.